ATHENS (Sputnik) - Syrian President Bashar Assad estimated Thursday that it may take up to $400 billion to reconstruct Syria after the conflict, but noted that the precise number was unknown since some areas were still controlled by terrorists. "Hundreds of billions, the minimum is 200 billion, and according to some estimates, it’s about 400 billion dollars. Why is it not precise? Because some areas are still under the control of the terrorists, so we couldn’t estimate precisely what the figure is. So, this is plus or minus, let’s say," Assad said in an interview with the Kathimerini newspaper, answering a corresponding question. 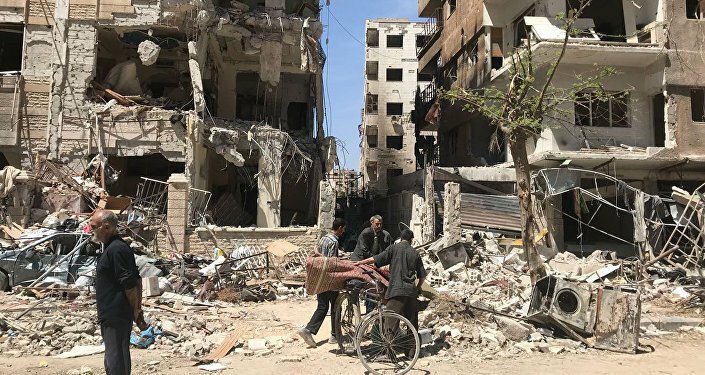 In April, Assad said that it would take at least 10-15 years to restore Syria's infrastructure, noting that Russian companies would be prioritized in reconstruction contracts. At the same time, China has also expressed interest in reconstruction efforts. Syria has been in a state of civil war since 2011, with the government forces fighting against numerous opposition groups and terrorist organizations. The war has resulted in a humanitarian catastrophe, with over 13 million Syrians currently in need of humanitarian assistance, and over 7 million people internally displaced due to violence and destruction. According to the Syrian president, the United States' only mission in Syria is to support terrorists and destroy the country. "If he's talking about destroying Syria, of course, that's another mission accomplished. While if you talk about fighting terrorism, we all know very clearly that the only mission the United States has been carrying out in Syria is supporting the terrorists, regardless of their names, or the names of their factions," Assad said in an interview with the Greek newspaper Kathimerini, asked to comment on US President Donald Trump's statement that his country's mission in Syria was "accomplished." Asked about a potential meeting with Trump, the Syrian president said that he didn't think that Damascus could reach any compromise under the current US administration. "What can we achieve with someone who says something before the campaign, and does the opposite after the campaign, who says something today, and does the opposite tomorrow, or maybe in the same day?" Assad stressed. Syria has been in the state of civil war since 2011, with the government forces fighting against numerous opposition groups and terrorist organizations. During his election campaign, Trump promised to focus on the fight against terrorists in Syria instead of ousting the government in Damascus. 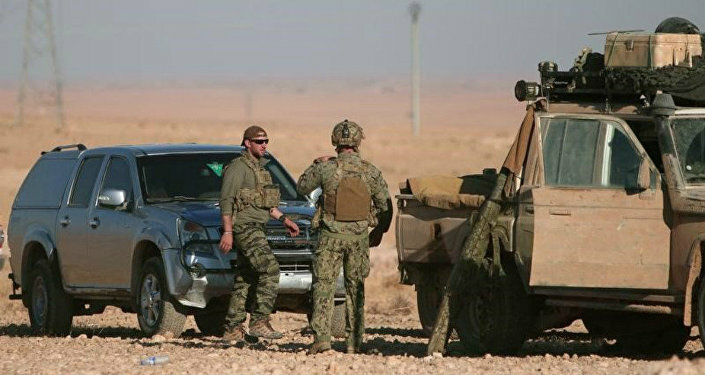 However, since Trump took office in January 2017, the United States has been training and equipping the forces of Syria's armed opposition in camps located in a 34-mile zone around a US military base near Syria's At-Tanf checkpoint. 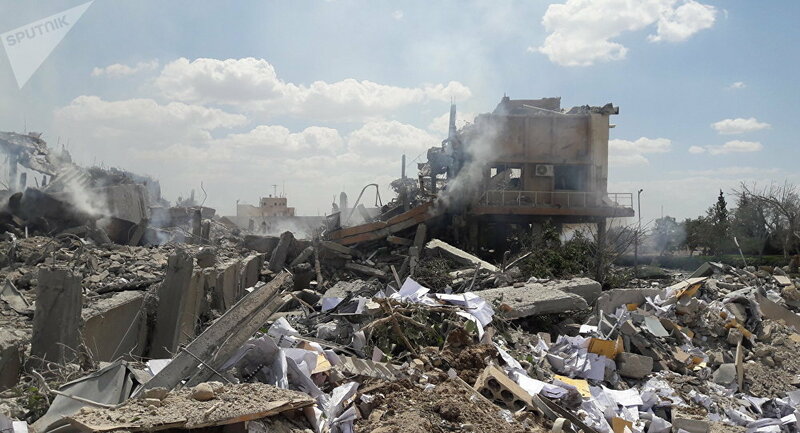 Moreover, the United States conducted missile strikes against Syrian government troops twice based on allegations about government's chemical attacks targeting civilians in Syria. Damascus has repeatedly denied all allegations that were made without any evidence.